Home | Chemical Ingredients | If Chemicals In Shampoos Are Harmful, How Are They Legal? If Chemicals In Shampoos Are Harmful, How Are They Legal? Is The Public Simply Ignorant? Why Are People Still Buying Chemical Shampoo? Which Type of Shampoo Is The Safest? Most people don’t see the harm in putting chemicals in their hair. They think that just because it’s on their head doesn’t mean it will have any negative impacts on their health. Well, let me tell you right here and now that, that’s wrong! The products you use on your hair have direct access to your scalp and therefore can enter your bloodstream by absorbing into your skin. Certain ingredients can affect your liver, cause eye problems, and may trigger asthma or allergies. They may even be harming your hair as well. Almost every provider of naturally-based personal care products advertises the fact they are free of “harmful chemicals.” You may also see “Free of artificial fragrances and preservatives,” which also are terms that often diminish the value of the commercial products that contain them. The FDA has banned many different shampoo ingredients in the past, and there is a vast pool of online resources which are reference guides to harmful ingredients. There are a bunch of harmful ingredients that haven’t been banned by the FDA, which means it’s your responsibility to learn about what’s healthy and what’s not. Lucky you, I’m here to help shed some light on the current situation. The FDA bans any ingredients which have been scientifically proven to be harmful in trace quantities and above. There are other ingredients which can be just as hazardous, however, they are not classified as unhealthy in such tiny amounts. The public is still affected by the ingredients that aren’t banned due to quantity control. 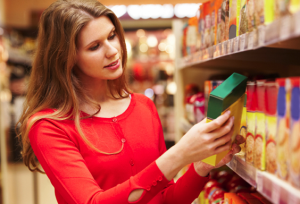 Therefore, you as the consumer need to be well educated about healthy products versus non-healthy products. Using harmful ingredients a few times in your life may not cause any harm, but a few times can add up. Using potentially harmful ingredients a few times a week for months or years on end can cause a buildup that will mostly result in a temporary or permanent scalp condition. Take note that the FDA will not ban an ingredient just because it causes dryness or breaking of hair follicles. They will only ban an ingredient which can lead to a medical condition or injury. However, in more recent years, parabens (an ingredient found in hair products), along with a great deal of other endocrine suppressing chemicals, have been banned from commercial use in the EU because of mounting proof that are simply not good for consumers health over any span of time or in any amount for that matter. Shampoo companies get away with putting harmful ingredients in their products just like fast food restaurants succeed in selling unhealthy products. You then have the question-“How are fast food chains getting away with selling unhealthy food? Wouldn’t people see how the food is unhealthy, and lean towards companies who sell healthier food?” It is common knowledge that fast food is unhealthy, and the food industry leaders are fast food joints. The math is the same when it comes to shampoos. People want something fast, available everywhere, and most importantly, cheap. Healthier ingredients cost more because they are not mass produced with cheap chemicals – when it comes to both food and shampoo alike. Maybe if people saw what would happen to them by using these harmful ingredients or consuming fast food on a regular basis, the unhealthy product would be a less likely go-to for them. The truth is that nothing will ever trump convenience and affordability. If the health industry wants consumers to buy healthier products they need to offer more of an incentive than healthier lives. People need something a bit more tangible. One idea could be a reward program for buying from healthy companies. We need to stay informed about the ingredients in the products we buy. There is a vast amount of education regarding unhealthy foods and for good reasons. Unfortunately, there isn’t too much public information about unhealthy shampoos. That’s because all the ingredients used are considered safe by the FDA, people assume that using them won’t come with unhealthy side effects. News flash – ingredients like sulfates, which are particles small enough to be absorbed into the scalp (and then the scalp doesn’t know what to do with them, so they ultimately hinder the healthy growth of cell renewal) and artificial fragrances (which can cause a mild allergic reaction the skin) should definitely be avoided. Too many people neglect their hair health due to ignorance. People are still buying unhealthy shampoos because the ingredients aren’t banned by the FDA and they are available in almost every corner store of the country. The common public falls prey to ignorance, and often don’t realize the unhealthy side effects that build up as a result of the prolonged continuous use of such products. Proper hygiene includes a healthy diet and the use of healthy personal care products. Make sure to select shampoos and other personal care products which are advertised to be absent of potentially harmful ingredients. You no longer have to neglect your hair and skin – tell a friend, and start on the road to better health together. 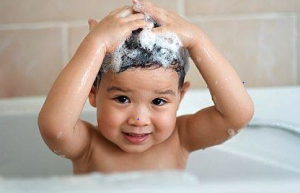 Regularly using shampoos with parabens may have harmful effects. Parabens are used as chemical preservatives in a wide variety of products, not just our shampoos. Things that we use on a regular basis, like food and drugs, may contain a large amount of these chemical additives. The chemicals strengthen the antibacterial properties and lengthen the overall shelf life of the product. However, little is really known about the actual anti-bacterial effects of parabens. Research has shown that they may have strong carcinogenic properties – which leads to the formation of cancer with consistent and regular use over a long period of time. The debate surrounding the use of parabens in shampoos and a lot of other products has become controversial. Many argue that using these chemicals in small, controlled doses won’t affect the overall quality of your health. and will help to prevent the onset of infection or inflammation by removing any germs or bacteria from the scalp or skin. Parabens come in many forms or varieties and some of the most commonly listed versions are methylparaben, ethylparaben, propylparaben, butylparaben, and isobutylparaben. The reason they’re so bad for your hair, in particular, is because they actively work to strip away not only the dirt and grime from your hair but also the thin mantle layer on our cuticles. This mantle layer helps keep hair protected against becoming dry or brittle and ensures that our cuticles remain flat – thus avoiding frizzy or overly curly hair. It’s therefore imperative that we try and preserve as much of this layer as possible and unfortunately, most of the shampoos and conditioners we use on a regular basis contain large amounts of parabens – which has lead to a resurgence of the all-natural, ‘no-poo’ movement in recent times. We’re all used to our shampoos forming a rich, thick lather when we apply them to our hair. Many believe that our hair is not being properly cleansed unless we use a product that forms a rich lather. While this may be true to some extent, the reality is that most of the products we use to achieve this lather contain a variety of different chemical ingredients – namely sulfates. Sulfates have more negative effects on our hair than they have positive. They’re so effective at forming a lather which helps to strip away grime, dirt, and excess oil from our scalp – that they tend to remove more than they need to. They strip away the layer that’s our hairs natural way of keeping itself moist and hydrated. Once it’s removed, our hair tends to dry out and become weak and brittle – leading to breakage. The chemicals also help strip away hair color (for those who have dyed hair) and can lead to an irritated scalp. This causes hair loss. While sulfates may not be as bad for our health in terms of the carcinogenic properties of parabens, they’re not ideal for our hair. Avoiding them is generally the best option if you want to keep your locks hydrated, bright, and softer. One option is to buy products that don’t contain sulfates, parabens, or any harmful chemical ingredients for that matter. You shouldn’t simply choose another product from the same brand you’ve been using even if it claims to be sulfate or paraben free. Many companies simply remove one or two of the harmful ingredients and claim to be totally free of them. The best option is to use products that are all natural with roughly less than 10-12 ingredients in total. Having a smaller amount of ingredients makes it easier to verify whether any of them are harmful or not. It will also mean they have less of an impact on your hair and scalp in general with regards to the balance of natural oils. The natural oils that keep them hydrated and soft. The most cost-efficient option is, of course, the DIY one. DIY- homemade recipes are the best way to ensure that you know every ingredient in your shampoo or conditioner and it allows you to have more control over the type of formula you’d like to use. You’ll have the ability to customize the formula to suit your hair particular hair needs. Once you’ve perfected a DIY recipe, you can experiment and try out new combinations and scents. Natural Pura d’or Anti-Hair Loss Shampoo. 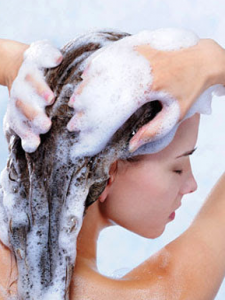 If you’re looking for different types of natural shampoo you have come to the right place. 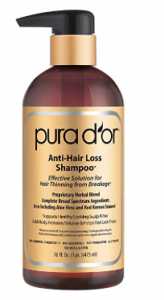 One of the top natural shampoos is organic Argan Oil Shampoo by Pura d’Or. It contains no harmful chemicals, is hypoallergenic, and will nourish your hair follicles. 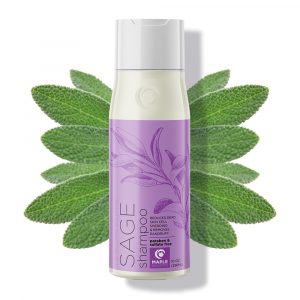 The shampoo also promotes cell growth and fight hair loss naturally with its all natural ingredients. It provides your hair with the needed moisture and will leave your hair with shine. 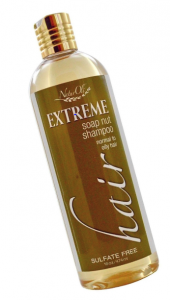 Sulfate free NaturOli Soap Nut Shampoo. There is also NaturOli Soap Nut Shampoo. It’s sulfate free, gluten free, safe for color treated hair, and reduces fading. It can even balance secretion by oil found in your scalp, while also removing excess oil and dirt as well. It can also relieve your itchy scalp and clean it without stripping away your body’s natural nutrients. This is a highly recommended shampoo! Desert Essence Organics shampoo and conditioner. 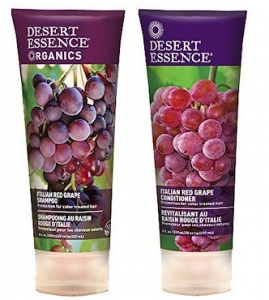 Desert Essence all natural organic Italian Red Grape shampoo is a wonderful natural product. It contains B5 which will work on treating your damaged hair and leave it extremely moisturized. The high levels of antioxidants act as a UV filter and aids in correcting environmental damage. If you have had issues with frizziness, dryness, and breakage in the past you should give this shampoo a try! Check out our Argan Oil Explained feature at Maple Holistics! Ultimately, your hair is only as healthy as you treat it. In some cases, just leaving it as is, is the best option. Many people can get away with washing their hair only once a week or using a dry shampoo. For the rest of us with oilier hair types, having healthy hair is a little bit more of a challenge. The irony is that most of the conventional products that we buy wind up doing more to hurt our hair than to help it. If you’re concerned about having strong, healthy hair, and a scalp that is free of irritation, then an all natural shampoo may be worth investing in. 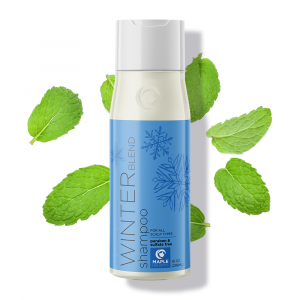 An all-natural, preservative and chemical free brand of shampoo could make all the difference. Having hair that you’re proud of is more a matter of cutting out harmful chemicals, than spending money on them. While many won’t have any issues using conventional shampoos, the truth is that a lot of people do at some point or another. You’re better off without a long list of chemical ingredients than you are with them. Simple. Go natural and start reaping the rewards today.